It is a transit and reception area, access zone and storage space, and usually the first part of an apartment that you lay eyes on: the hallway. While the corridor, as could be seen (and read) in the section of the exhibition on “Elements of Architecture” at the 14th Venice Architecture Biennale curated by Stephan Trüby, first became a central architectural element with Industrialization and the emergence of Modernity, its baby brother still remains a sibling of the entrance or lobby. While in apartment blocks, office buildings, factories, hospitals and prisons it is the corridors that organize the use of the architecture, the sober formulation also reflects the status of hallways as “transit zones”. The simple fact is that a tasteful middle-class entrance is pretty much a rarity. The reality tends to be a hallway that is poky, narrow and dark. But because living space in cities is becoming ever more expensive, every square meter is precious. No one can now afford unused left-over space. Which is why the hallway is now mutating into part of the living space. 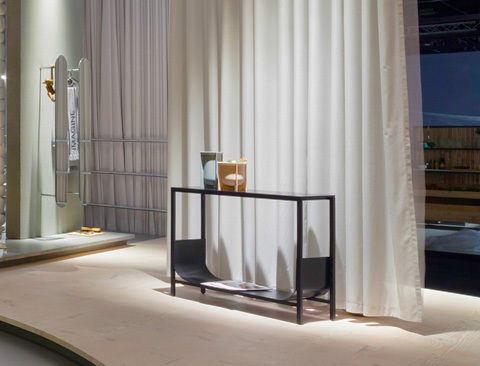 At least, that is what countless new products suggest that were on show at the imm cologne 2016. That apartment hallways are not second-rate living space has always been evidenced by manufacturers such as String and Montana, whose furniture systems cut a fine figure throughout an apartment. 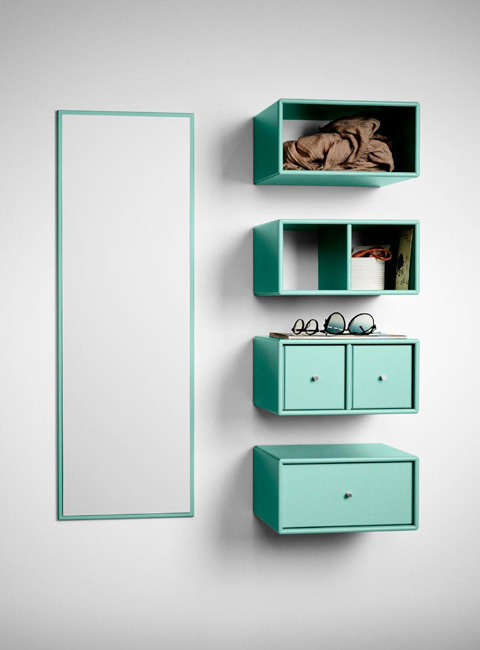 Be it in the kitchen or the bathroom, be it the closet, office furniture or living-room shelving, be it storage space for books, files, bottles of liquor or shoes, location and usage are up to you. Pragmatic standardization is certainly not everything. You can definitely combine things in hallways, skillfully of course. That starts with somewhere to put things down on, which tends to be the first thing you head for when stepping into your apartment. After all, you often have your hands full: keys, mail, bags, phone – all of which can land happily on “Drayton” by e15, another straight-lined and straightforward wooden item from the Frankfurt furniture maker’s Chipperfield collection. 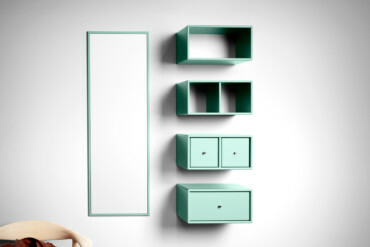 A mere 35 centimeters deep, the sideboard nonetheless provides enough space for all those everyday things – and also for the one or other decorative item. 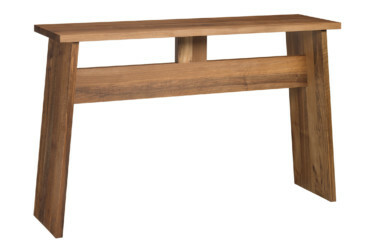 Combined with the matching stool “Langley” you can arrive home in a tranquil state of mind. Alternatively, for those who step into their home full of zest and energy, there’s “Tub” by Sebastian Herkner for Schönbuch. 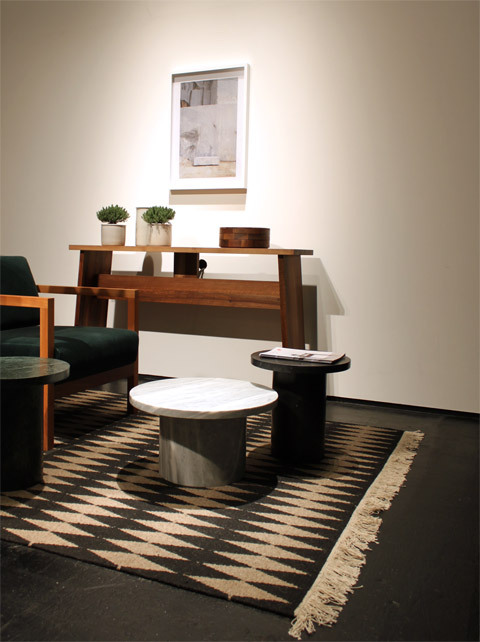 A fitting counterpart, this console with its solid wooden frame has an inset curved steel tray under its top into which you can nonchalantly deposit your shoes and just about anything else you want to divest yourself of quickly. If there’s no space in the hallway for a wardrobe then you need an elegant and practical coat stand – a long row of jackets on a simple rod hardly ever cuts the mustard, and such a solution is not homely, either. 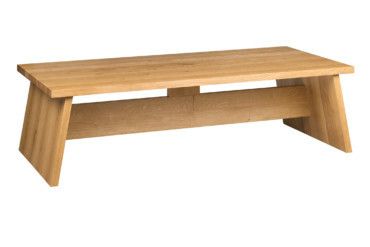 A great alternative is “Sled” by Daniel Wehrli, likewise for Schönbuch and also a solid wood affair. 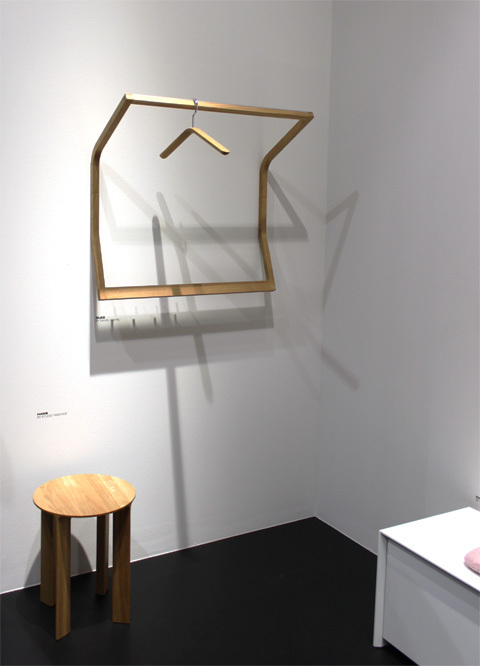 The wall-mounted oak coatrack (in two widths, untreated and oiled, or lacquered black over an open-pore surface) resembles a picture frame that detaches from the wall at the top and bottom as if it found it too hot or too humid. The refined curve not only makes for beautiful shadows, but is well thought through, as you can simply throw your coat over the coat stand if there’s no clothes hanger in reach. 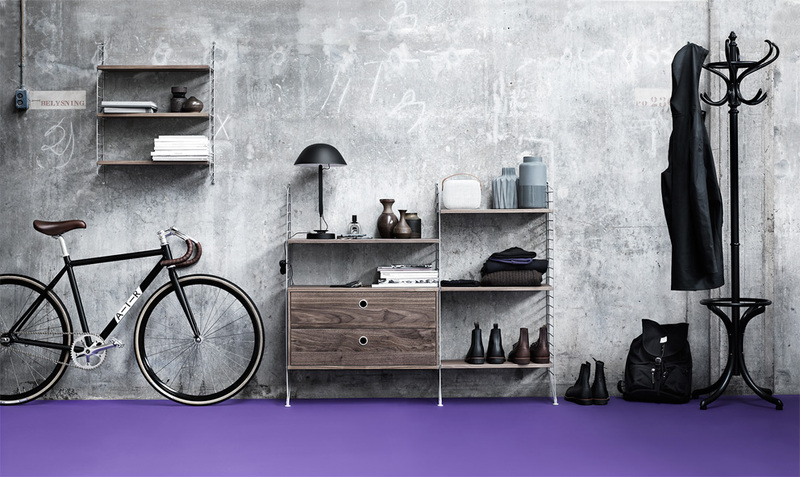 An all-in system that lets you hang things up, throw coats or jackets over it, or place things on it is Steffen Kehrle’s idea, which brings plenty of color into the hallway. 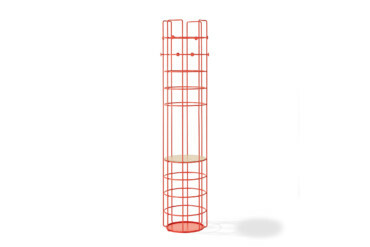 His coat stand called “Bazar” for Richard Lampert is a practical companion in black, gray, white, blood orange or daffodil yellow. 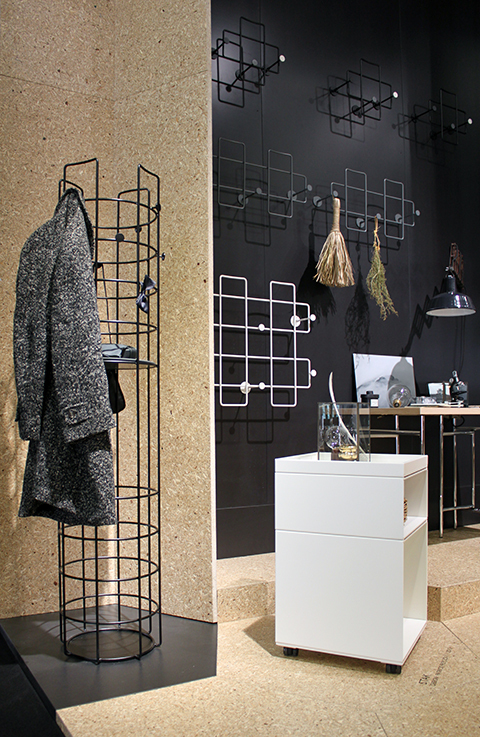 The elegant cylinder made of thin steel wire and into which you can insert a flexible wooden rest stands 1.70 meters tall and is attractive from all sides: “The trick behind ‘Bazar’, the designer explains, “is that you can use the entire space between the crown and the floor. The structure avoids any surfaces that cannot be used for storage; you can hang coats and jackets wherever you like on it, stuff scarves and pashminas in-between, put your keys and gloves down on it.” If that is still not enough wardrobe space or you want a little more texture on your hall wall, then combine it with the “Bazar” wall-hung unit that boasts the same materials and structural principles and is available in three sizes. Where to put all your shoes? No, the question is not supposed to be about classic clichés about women, but a serious one about how much space is required for shoe storage in a hallway. Imagine all the variants you have seen: plastic boxes into which shoes get thrown, former CD racks given a new lease of life and function, stacks of footwear squeezed under a bench, or simply a row along a wall, neither pretty nor especially practical. In such instances, turn to “Shustack” by Müller Möbelwerkstätten for help. 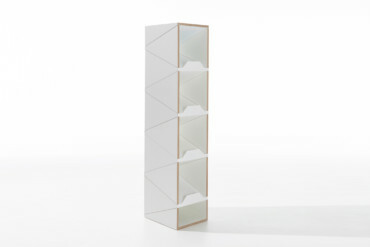 Made of metal and birch and designed by Michael Hilgers, the modular shoe shelf has a sealed front and can be filled with shoes from either side. 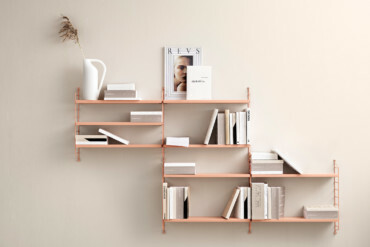 The angled metal shelves save space and also form a zig-zag front. And, neatly, if the number of shoes you own increases “Shustack” can grow along with them. Your ceiling is the limit to the unit’s height. Anyone not wishing to see their shoes will really like Martin Hirth’s “Chest” for Schönbuch. 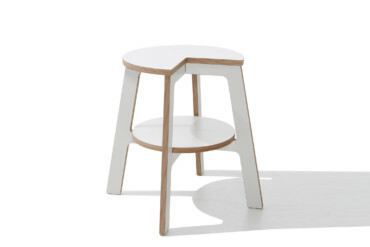 This ingenious two-in-one product is both purist seating and a container for two drawers concealed behind a simple surface. There shoes or scarves can be stored, and on entering your pad you can easily sit on it while phoning or checking your mail, as “Chest” provides comfortable seating. 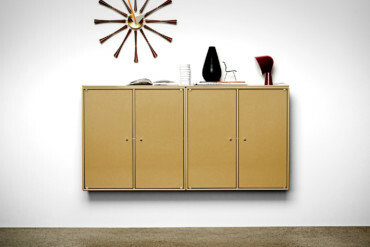 It’s hardly surprising that the new products for hallways are highly functional; after all, there’s a lot to be stored. But given that such a function is not restricted to hallways in the home they bring a pleasant and generally elegant feel to any entrance, corridor, or transit zone, however dark they may be. Which means that inhabitants and guests need not hurry swiftly into the living room. After all, stepping into a beautiful hallway gives you time to collect yourself. And, neatly, if the number of shoes you own increases “Shustack” can grow along with them. Even with the Montana system everything is possible at home - and of course in the hallway.